There's never a guarantee that the weather during a Pacific Northwest spring will feel at all springy, but this day trip to charming Gig Harbor holds up rain or shine. Getting to this coastal town of just under 8,000 takes just a short hop from other points around the South Sound, and only takes about an hour from the Seattle or Bellevue areas. If you approach from I-5 and Tacoma, be sure to tell the kids the tale of Gallopin' Gertie as you drive over the stunning, and now much safer, Tacoma Narrows Bridge. Or hop if you're coming from the north, hop on the ferry from Seattle to Bainbridge Island and drive south for a scenic route. Once you’ve arrived, find a good parking spot. If you follow this itinerary, you won’t be back at the car until it’s time to head home. Here’s to making your Gig a good one. First up: Harbor WildWatch. 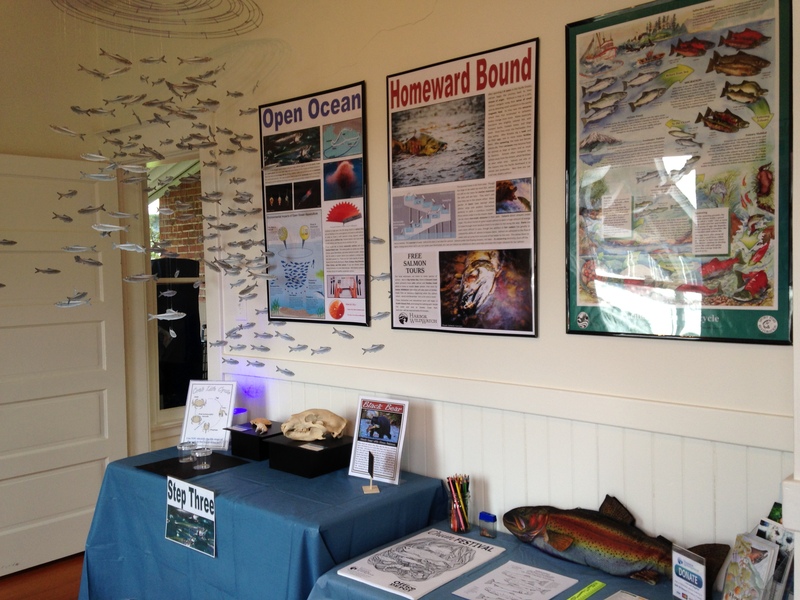 This marine and environmental education organization started more than a decade ago but only recently took up permanent residence in the heart of Gig Harbor. Find Wildwatch at the historic Skansie House in downtown Gig Harbor. Admission is free and you’ll get to explore two interactive, self-guided exhibits. The permanent one features hands-on fun focused on topics like how glaciers formed the Puget Sound and what microplastics do to the ocean while the other exhibit rotates quarterly. A six-minute walk away you’ll find Skansie Brothers Park. (The shipbuilding Skansie family was kind of a big deal in the early days of Gig Harbor. Expect to see their name all over.) Note: Skansie Brothers Park is undergoing a makeover during winter and spring of 2017. Wander by and check on construction progress and new features. While the park is on the small side, it features a covered pavilion perfect for taking a break while the kids enjoy the fresh sea air. You can also get a closer look at the harbor by strolling along neighboring Jerisich Dock. If you’re lucky and the weather’s clear, you should be able to see Mt. Rainier in one of the best views of the mountain the South Sound has to offer. Keep walking up Harborview Drive for about four minutes. There are on the right will be local institution Susanne’s Bakery & Deli. Rumor has it Susanne studied cooking in Paris — the truth: she’s got a background in French cuisine — but either way, the bakery’s got world-class food. For lunch, try the soup and sandwiches (the paninis are legendary) but we suggest leaving room for a cinnamon roll. They’re made fresh daily! Recharged and ready for round two? Good, because next up is one of Gig’s better-known cultural landmarks: the Harbor History Museum. Located 11 minutes up the street from Susanne’s, the museum’s 7,000-square foot waterfront location is its fifth home in five decades. Here, learn about Puget Sound history as the Sound itself laps just feet away. You may even spot a Skansie or two in the archival black and white photos lining the walls. 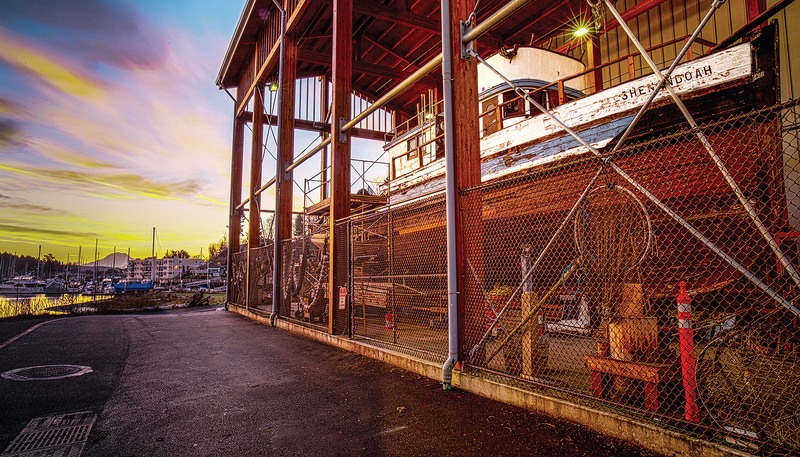 Kids may particularly love the museum’s interactive exhibits and small theater, not to mention the 65-foot boat that calls Harbor History home. The Shenandoah has been a resident since 2000 and is slowly but surely being restored to its original glory. Check the website for seasonal hours and admission. Few things can tire you out like a walk around a good museum. But before hopping back in your car and heading home, swing by Java & Clay (you may have spotted it earlier while at the park; it’s right across the street). If you’ve got enough time or want to kill an hour or two and skip traffic altogether, take a break and make art! 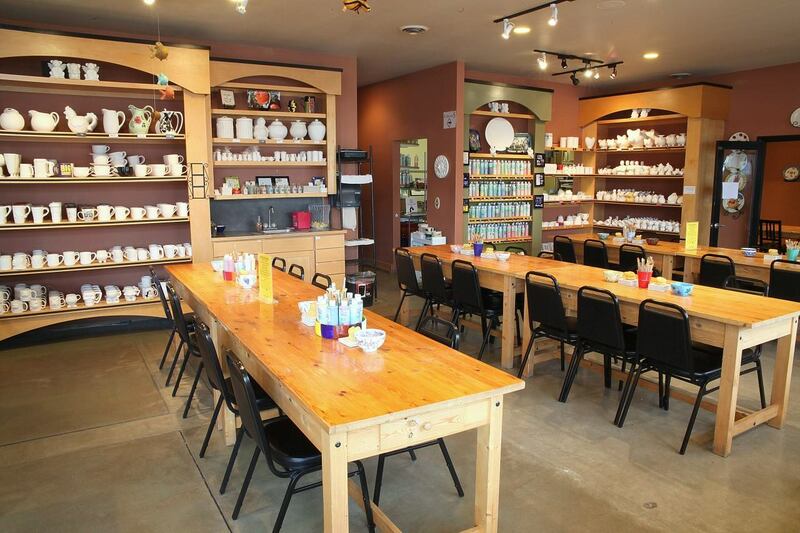 As the name suggests, Java & Clay serves as both a coffee shop and paint-your-own-pottery studio. There are no studio fees to worry about and plenty of room to stretch out and flex your creative muscles. Plus, after the customary handful of days to fire and finalize your creation, they’ll ship it right to your door! Though, really, who wouldn’t want another reason to visit Gig Harbor after a day like this? Hours: Gig Harbor is a tourist town so call ahead to check on seasonal hours. Both Harbor WildWatch and the Harbor History Museum, for example, close a touch earlier in the winter than summer. Getting there: If you're coming from the South Sound, you'll likely take the Tacoma Narrows Bridge, which requires paying a toll. Families from Seattle and environs might consider taking the ferry to Bremerton or Bainbridge. Either way, expect to pay a small fee to get on and off Kitsap Peninsula (typically $10 to $20, the ferry being the more expensive of the two options in most situations). Bonus: Need to stretch those legs and get the wiggles out? Visit Sehmel Homestead Park. It's about 10 minutes by car from the city center but the playground alone makes it worth the drive. The park also features a number of sports fields and room to run. Tip: We've put together this Google Map to help plan your trip. Note: This article was originally published in January 2016 and updated in January 2017.